Bonnie, Joseph and Kia Ricchi. Screenshot of Kia Ricchi's website. 06/01/15 - When most homeowners choose to employ a contractor for upgrades or repairs, they usually expect to hire a burly construction guy. But, perhaps not. On our next Topical Currents, we’re “At Your Service” with a woman known as “the contractress.” She’s Kia Ricchi, author of the book, “Avoiding the Con in Construction.” We’ll have tips for repairs . . . and how to get ready for storms. That’s Topical Currents . . . Monday at 1pm. 05/28/15 - On the next Topical Currents we begin with a dip in a perfectly maintained backyard pool. There are thousands of them in South Florida. 05/27/15 - Tune in for Wednesday’s Topical Currents for a visit from Dr. Jeffrey Lieberman, who chairs the psychiatric department of Columbia University. For Memorial Day, WLRN presents “Grave Matters: A History of Death and Mourning”, produced by the program “Backstory”, distributed by PRX. In this special program the “History Guys” and their guests explore Americans’ changing attitudes about death, mourning, and ways of remembering. 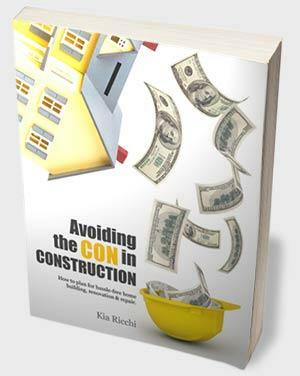 04/07/11 - Topical Currents begins with South Florida contractor Kia Ricchi, and her book, AVOIDING THE “CON” IN CONSTRUCTION. She gives practical guidelines for home building, renovation and repair . . . and how to avoid scams. And more, Linda Gassenheimer with Lyn Farmer, the Director of the United Way Wine and Food Festival, along with Chef Orlando Arroyo. In its 16th year, the event has raised $12-million for those in need.